Our KV85 Competition Race Wire Sets (8.5mm Red) are high output wires used on many race cars that need to run EMI suppressed ignition wires. 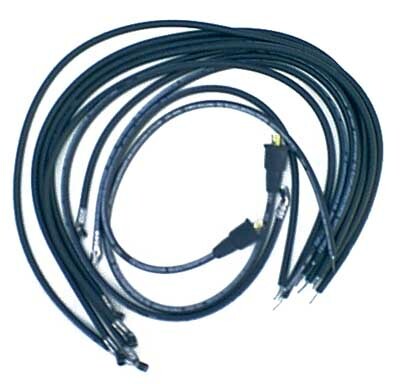 Our plug wires provide EMI suppression that will improve ignition performance on any street-driven vehicle. 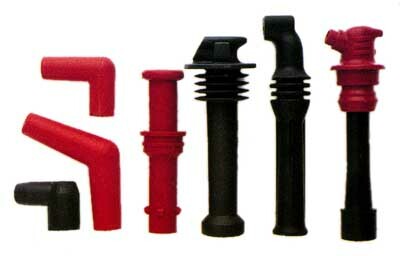 Wire Sets feature a high temperature insulating jacket made entirely from aerospace grade silicone rubber, and an exclusive 2.5mm FM 200T metallic induction EMI suppressed conductor which maximizes ignition output while providing superior EMI and RFI suppression to prevent interference with electronic ignition, electronic fuel injection, and other sensitive engine electronics including radio and stereo equipment. The same cable described above available in 100 foot rolls. Now you can custom make your own Competition Ignition Wire Set. Below we have provided a complete breakdown of the necessary parts to custom make your set right in your own garage. 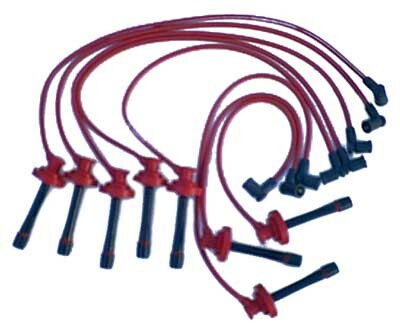 Below we have 3 charts to help you select the Distributor & Coil Boots, Spark Plug Boots and Terminals you will need to complete the assembly of your custom competition ignition wire set. For a complete description of each item listed, click the picture of that item for additional information.